Jim Wright's talk about "The Nature of the Meadowlands" book scheduled for tonight in Allendale has been postponed and will be rescheduled. The concern is that snow will accumulate over the course of the evening, creating bad footing and slippery roads. 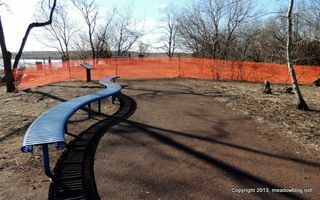 Repair work has begun on the storm-damaged Transco Trail. Construction will continue six days a week through early April. All of the Transco Trail, the Saw Mill Creek Trail, and the Lyndhurst Nature Reserve are closed. Please: Keep off and keep out! More information follows. Jim Wright, keeper of this blog, also writes a twice-monthly column for the South Bergenite. His latest column is on the new Photographers Showcase and Roy Woodford. When I started writing this column a couple of years back, I thought of readers as folks who want to get outdoors more often, to get some exercise, and to see the beautiful birds and other critters that can be found in the Meadowlands Commission’s parks and natural areas at various times of the year. But these days, a growing number of nature lovers in the Meadowlands are armed with camera gear as well as binoculars. 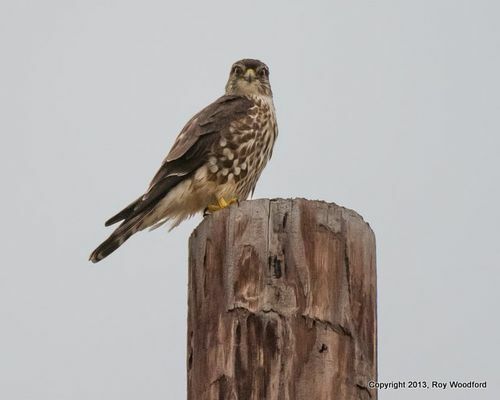 As digital cameras become increasingly affordable, more and more folks are photographing birds and sunsets at DeKorte Park and many other Meadowlands locales. So I’d like to take this opportunity to reach out to all the photographers who may not be aware of all of the opportunities that await them here — or may not be aware that we at the Meadowlands Commission would love to share their photos with other nature lovers on the Meadowlands Blog (www.meadowblog.net).